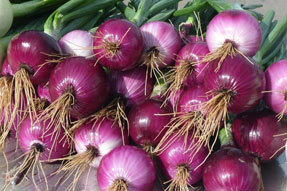 Our red onions are great for adding to dishes, sautéing, or just enjoying on a sandwich or in a salad. They are packed with flavor and have many health benefits such as anti-oxidants. Click here to find out where you can buy this product.